These gift tags bring together three things we love – Christmas, Cute Designs and Sayings (by our very own Sharon- our Chief Creative Elf) and free!!!! Yay for freebies right? 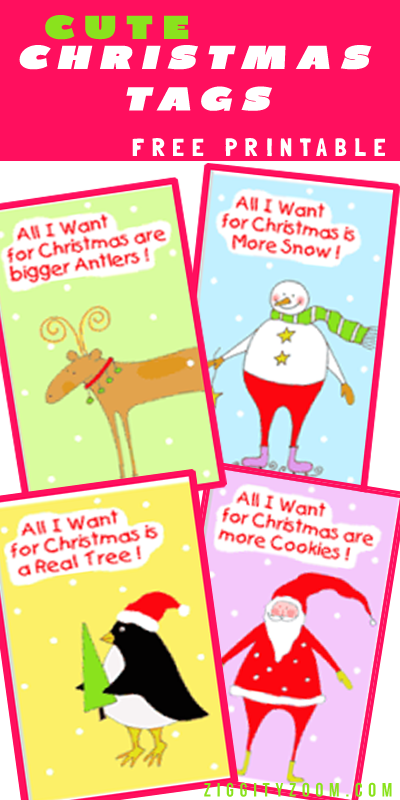 These are perfect little gift tags for Christmas Gifts- just print as many sheets as you want of the pdf. We would recommend printing them on heavy weight paper. Also, if you don’t want to waste any sheets of paper, review the printable and only print copies of the tags. I think it is page 2, as page 1 is just directions. Click the image above or this link to print the pdf. 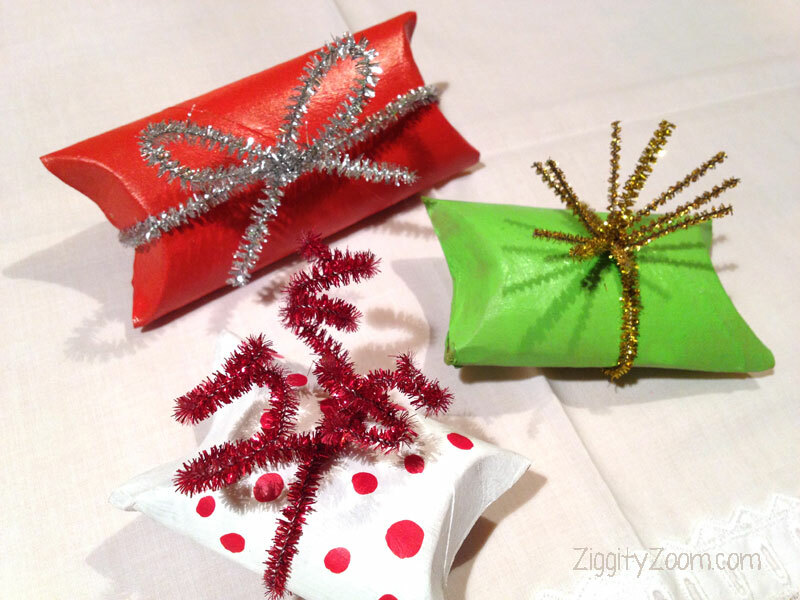 Do you put git tags on your gifts to family and friends or write straight on the wrapping paper or just leave them unlabeled? We do a little of each. For gifts to family and friends we use labels, gift tags, and write on the paper. For a few special or big gifts we don’t label them. What I love about these tags is they are fun, whimsical, and colorful and appeal to both kids and adults. We are super excited about Christmas and can’t wait for Christmas morning to share that special time with our families, around the tree, and listening to Christmas music, as we wait in anticipation to see what Santa has brought for us. It is just such a fun time of year. Don’t forget to take the time to slow down, and enjoy your loved ones. Sometimes we get so wrapped up in everything being perfect, or tidy we get stressed out and don’t even enjoy the holidays- we just move through them. Try to remind yourself- it is about the people, and the hope of the season, and of course love and believing in miracles and believing in things even the unseen and holy.